Structural Adjustment Policies are economic policies which countries must follow in order to qualify for new World Bank and International Monetary Fund (IMF) loans and help them make debt repayments on the older debts owed to commercial banks, governments and the World Bank. Although SAPs are designed for individual countries but have common guiding principles and features which include export-led growth; privatisation and liberalisation; and the efficiency of the free market. SAPs generally require countries to devalue their currencies against the dollar; lift import and export restrictions; balance their budgets and not overspend; and remove price controls and state subsidies. Devaluation makes their goods cheaper for foreigners to buy and theoretically makes foreign imports more expensive. In principle it should make the country wary of buying expensive foreign equipment. In practice, however, the IMF actually disrupts this by rewarding the country with a large foreign currency loan that encourages it to purchase imports. Balancing national budgets can be done by raising taxes, which the IMF frowns upon, or by cutting government spending, which it definitely recommends. As a result, SAPs often result in deep cuts in programmes like education, health and social care, and the removal of subsidies designed to control the price of basics such as food and milk. So SAPs hurt the poor most, because they depend heavily on these services and subsidies. SAPs encourage countries to focus on the production and export of primary commodities such as cocoa and coffee to earn foreign exchange. But these commodities have notoriously erratic prices subject to the whims of global markets which can depress prices just when countries have invested in these so-called 'cash crops'. By devaluing the currency and simultaneously removing price controls, the immediate effect of a SAP is generally to hike prices up three or four times, increasing poverty to such an extent that riots are a frequent result. The term "Structural Adjustment Program" has gained such a negative connotation that the World Bank and IMF launched a new initiative, the Poverty Reduction Strategy Initiative, and makes countries develop Poverty Reduction Strategy Papers (PRSP). While the name has changed, with PRSPs, the World Bank is still forcing countries to adopt the same types of policies as SAPs. For more information on SAPs, read SAPRIN's report, "The Policy Roots of Economic Crisis and Poverty", a four-year, multi- country participatory investigation into the effects of specific structural adjustment policies on a broad range of economic and social sectors and population groups. 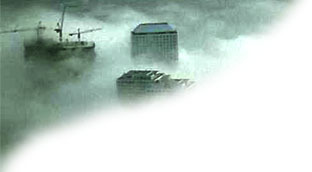 In the dozens of countries where the International Monetary Fund (IMF) and World Bank have imposed structural adjustment programs (SAPs), the people who have seen deterioration in their standards of living, reduced access to public services, devastated environments, and plummeting employment prospects have not been passive. The pages of newspapers, magazines, and academic journals (those that can survive in depressed economies) been filled with damning analysis of structural adjustment. More important, people have been organizing to combat the pillaging of their lands and livelihoods. This organizing has resulted in mass movements and protests on every continent, but they are not often reported on in the mainstream press. The following selection of notable struggles in the last 20 years of fighting structural adjustment follows was culled largely from the work of George Caffentzis and Silvia Federici of the Committee for Academic Freedom in Africa (CAFA) and by 50 Years Is Enough in Washington, DC. More than 200 people killed in rioting against the high prices and unemployment in wake of SAP. University of Cotonou students strike, paralyzing institution for six months, in protest of non-payment of grants for several months and the government's intention to stop paying them altogether in 1989 as part of SAP reforms. Teachers strike begins in April, with demands for payment of four months' salary arrears, the withdrawal of the 50% reduction in their salaries (part of IMF mandates), the unconditional liberation of all teachers, pupils, and students held during the strike and the reintegration of 401 teachers dismissed in March for striking. General strike called by labor unions, with the support of many agricultural workers, against government's sharp increase in food and gasoline prices as part of its IMF-designed SAP. Troops and riot police called out. Unions accept government's offer to increase basic minimum wage by more than four-fold along with other wage increases. Students in Quito clash with riot policemen during protests against government's SAP. (October 1987) Workers in Ecuador firebomb a bank and block streets with tires during one-day general strike against SAP. (June-August 1999) A broad coalition of civil society organizations, led by indigenous peasants, rise up to demand the curtailment of austerity measures imposed after the IMF’s emergency interventions in the wake of weather catastrophes (La Niña/El Niño), further de-stabilizing the government (January 2000) Indigenous people march on Quito to demand an end to austerity programs and more responsive government. After taking over the parliament building and allying with key members of the military, the indigenous organizations succeed in forcing the resignation of President Jamil Mahuad. Betrayal by the head of the armed forces leads to the vice-president taking over leadership rather than a government of national reconciliation. Demonstrators across the country protest the government's decision to raise fuel prices in accordance with a SAP that began with a 1982 World Bank loan that was renegotiated in November 1984. Riots over increased food prices erupt throughout southern Jordan shortly after announcement of SAP agreed to with IMF. At least five protesters killed by police. Riots break out in Karak and other southern cities after IMF demands removal of subsidies, resulting in tripling of price of bread. King suspends Parliament when it refuses to support price hikes. Protesters also target Ministry of Education because of hike in school fees connected with IMF program. 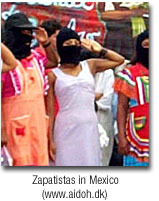 Zapatista Army of National Liberation begins an insurrection against the NAFTA and SAP-style policies of the PRI government. The insurrection destabilizes the government and these policies. Students at University of Niamey boycott classes to protest adoption of reductions in educational funding mandated by SAP. During the course of a peaceful demonstration police fired on demonstrators killing three (according to official police sources) or 14 (according to student leaders). Many others were wounded. About twenty students and bystanders at Ahmadu Bello University (ABU) in Zaria massacred by security forces after staging peaceful protests over impending introduction of SAP. More students killed in protests against SAP and the ABU massacre during the following days at Kaduna Polytechnic, the University of Benin and the University of Lagos. Students demonstrate at 33 universities against fuel price increase demanded by IMF-inspired SAP. Dozens of people killed and hundreds arrested in riots and strikes against SAP in Lagos, Benin City and Port Harcourt. Government forced to offer a welfare program called a "SAP Relief Package," the establishment of a mass transit scheme and a “People's Bank,” and a review of the minimum wage. Students and faculty on campuses nationwide protest government's decision to accept a $150 million university restructuring loan from the World Bank, especially conditions requiring closure of many departments and programs. Military government stages armed assaults and hundreds of arrests, with hundreds more expelled from university system. Students at Universities of Ibadan and Lagos protest against implementation of Structural Adjustment Program, which they accused of being responsible for the deterioration of campus facilities and education programs as well as doubling of transport prices. Police respond by shooting at the demonstrators, wounding at least five students. Battles between young anti-government demonstrators and riot police in Lagos leave at least three dead and hundreds injured. The IMF and World Bank made the removal of subsidies and probable increase of the price of gasoline the main imperative in its negotiations with the Nigerian government. A coalition of parties opposed to the neoliberal reform (SAP) measures of the Yeltsin government wins a majority in parliamentary elections. Steep currency devaluation and price hikes resulting from arrangements with both the IMF and World Bank lead to demonstrations by about 15,000 in Khartoum to denounce IMF. Students at University of Khartoum occupy buildings, leading to eventual closure of the institution. Street violence and arrests follow. The Society of Muslims assaults government headquarters and takes President Robinson and other members of the cabinet hostage, demanding an end to IMF-imposed economic austerity measures. Riots and looting follow the assault in Port of Spain; at least 50 people killed. Students at Makerere University protest cutting of stationery and travel allowances arising from a World Bank-imposed SAP. Police fire into a crowd of protesting students, killing two. About 600 people killed and more than 1000 wounded in rioting over economic measures, including sharp increases in fuel and public transport prices, imposed to satisfy the IMF and World Bank. President Perez, as one of his first acts in office, signed a letter of intent with the IMF putting into place a SAP on February 23. (February 1992) Coup attempt by middle-level military officers, widely supported by the population, fails. The economic goal of the coup's protagonists was the end of Venezuela's SAP. Students at Mbanza Ngungu and Mbuji Mai Universities criticize cuts in higher education budget adopted by the government in compliance with IMF’s SAP. Food price riots in the northern copper mining district in response to a SAP announced in December 1986 eventually lead to program’s suspension.